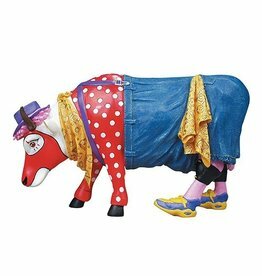 Cow Parade Collectible Cow Figurines by Westland Giftware. Cow Parade by Westland Giftware, Inc. Kids Kowstruction Cow Figurine. Size: 9.5 inches. Cow Parade by Westland Giftware, Inc.